This shop has been compensated by Collective Bias, Inc. and its advertiser. All opinions expressed are my own. Summer nights in my family are often spent inside avoiding the 100+ degree weather. Thankfully for us we are huge movie fans and can always have a great time as a family watching movies. One of the tastiest parts of movie night is the movie snacks. Popcorn at a movie night is a base to the snacking. 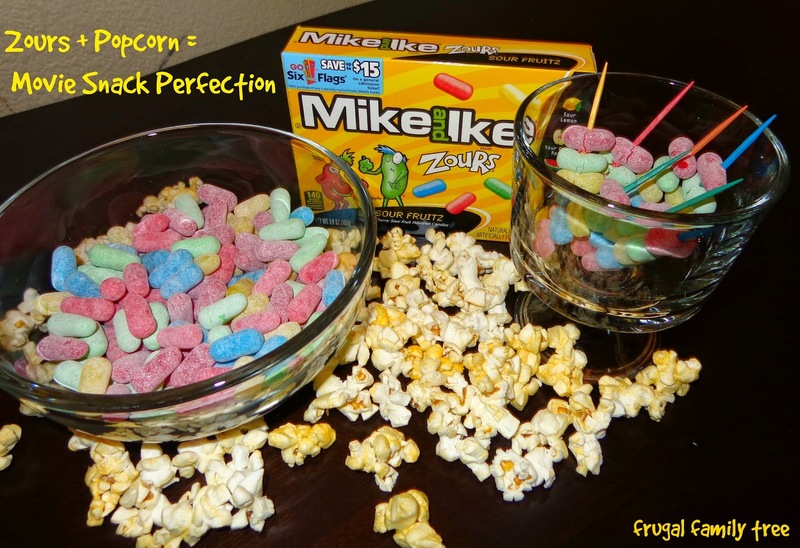 We like to add candies to contrast with the salty flavor of the popcorn. 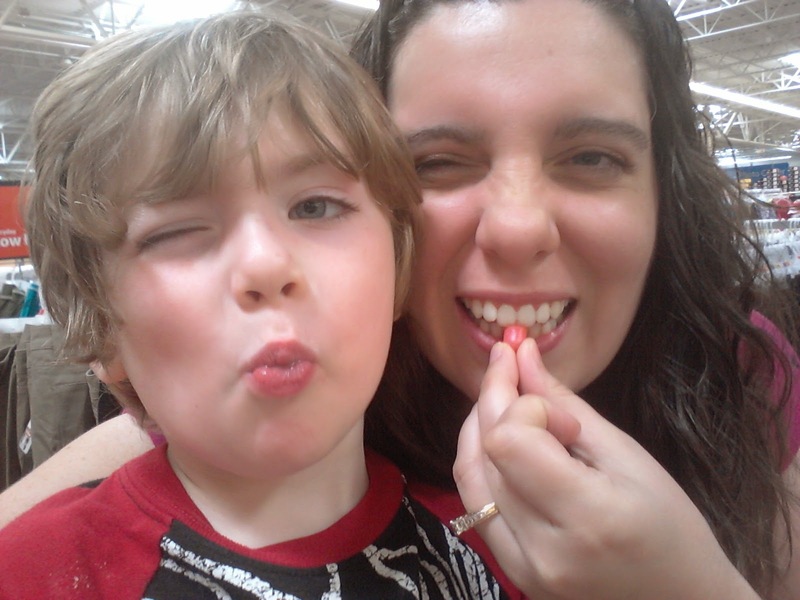 My son is my constant shopping companion and likes to help me picked out the movie candies for the night. Over the 4th of July weekend we decided to head to Walmart for supplies for the holiday and our movie night. While we were at Walmart we spotted several demos happening. Of course my son wanted to stop and try all the fun items we saw. Our favorite demo was the Zours® Candies display. My son and I love them! 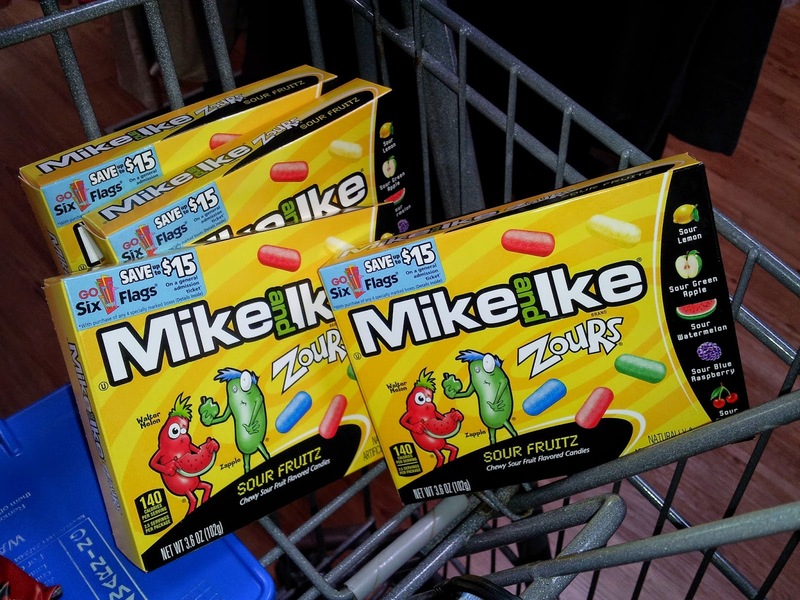 They are super sour followed by the sweetness you expect from a Mike and Ike candy. We bought the only 4 boxes of Zours® left in the store. I asked the demo worker and she said they sold out fast. She told me how fun her day had been watching the faces people would make when they sampled the Zours® candies. My son and I watched for a while and giggled at the #ZoursFace that people were making. While I shopped my son discussed his favorite flavors and which ones he would eat first. He told me I can have all the green ones since I like green apples so much. The flavors are sour lemon, sour green apple, sour watermelon, sour blue raspberry, and sour cherry. My favorite is the sour apple and my son's favorite changes based which one he is eating at the moment since they are all sourly delicious. 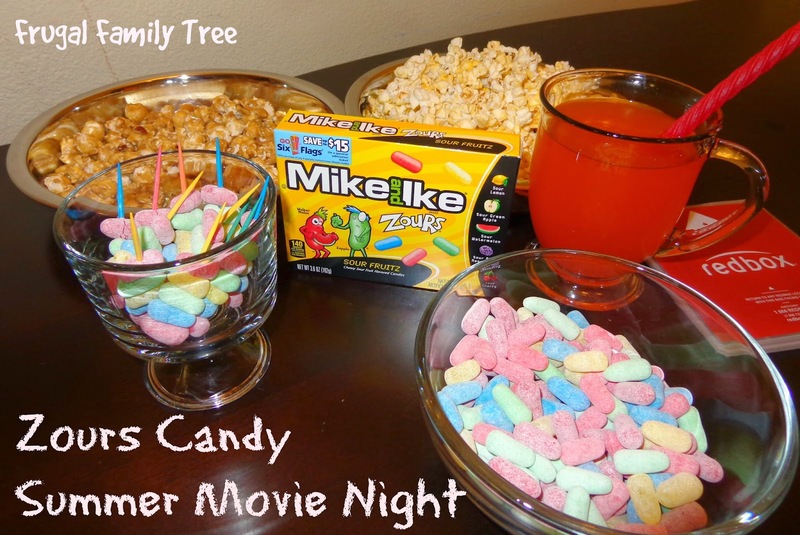 Our summer movie night started with popping the popcorn while we made Zours® Sour Bite Appetizers. I put one of each of the flavors of Zours® on a toothpick for one big bite of sour. I love sour candies and the flavor of the candies in one bite is so sour my face gets the craziest look on it. 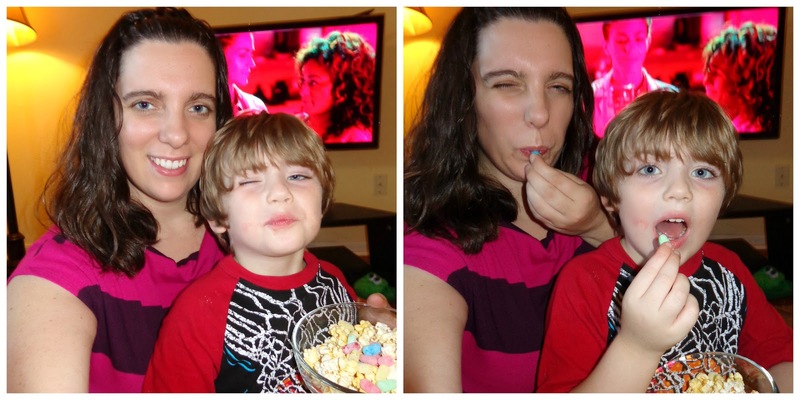 We had a blast eating a Zours® then popcorn, the sour and salty combo is a perfect movie snack combo. Next time you are in your Walmart I suggest buying Zours® candies to share with your family. It is a sour and silly way to have fun. My son had me take a ton of pictures of all the silly Zours® faces he made so he could see his own reaction. We checked the candy aisle in our store to see the Zours® display was sold out but thankfully we were able to find a few boxes at the demo display.